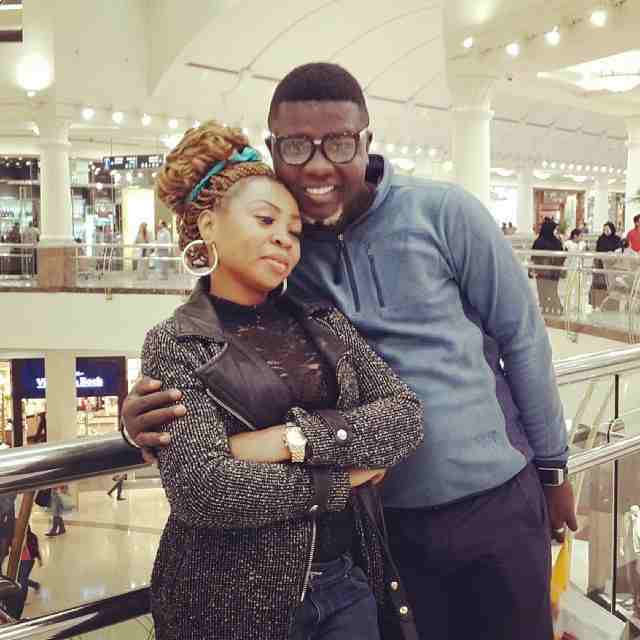 Nigerian comedian Oluwaseyi Aletile Lawrence, popularly known as Seyi Law, and his wife, Stacy have parted ways after almost 8 years of marriage. 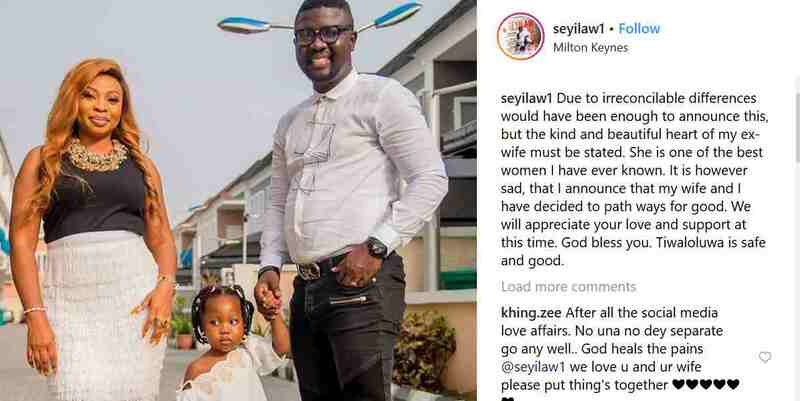 Seyi Law took to Instagram about an hour ago to announce their separation while stating that their 2-year-old daughter, Tiwalola is safe and good. Seyi Law and Stacy got married in March 2011 after dating for 3 years. The lovebirds had a recent interview with Punch about their marriage, explaining how they cope with their tribal difference.